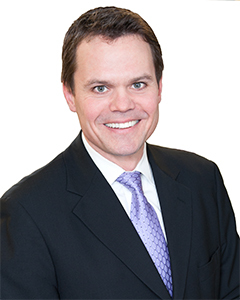 Dan Stewart is Co-Managing Partner responsible for client relations and firm operations. Dan focuses his trial practice on the defense of all types of negligence-based lawsuits in the state and federal courts of New York and New Jersey, and in Connecticut’s federal court. Dan has extensive experience with a wide range of case types, including automobile and trucking, complex construction accidents, premises liability and security, and products liability matters involving personal injury and property damage claims. He is fluent in the intricacies of New York’s automotive no-fault regulations, and routinely lectures on the subject for his clients. Dan represents property owners and commercial tenants in all manner of premises liability matters, including negligent security claims, slip-and-fall actions, and Dram Shop claims. Dan has significant experience representing owners and contractors in construction site litigation involving New York Labor Law. Dan is an experienced trial attorney and has obtained numerous defense verdicts, as well as favorable pre-verdict results on behalf of his clients at various stages of trial. He has participated in more than 100 mediations and arbitrations, and countless depositions and examinations under oath. Court of Appeals - Second Circuit New Jersey 1997 New York 1997 U.S.D.C. Connecticut U.S.D.C. D.N.J. U.S.D.C. E.D.N.Y. U.S.D.C. S.D.N.Y.